・All cars come equipped with Non-Smoking and English voice GPS. ETC car rental is available for \324. ※New Chitose Airport Branch、Sapporo Station South Exit Branch is pickup only_comma_ not drop off allowed. During the winter season from December to March_comma_ all cars are fitted with snow tires. S Class and WA Class cars are four-wheel drive (4WD). opening locks when locked out of the car, tire puncture repair fees, car tow service fees will be refunded. Tow Service Refund of up to 100,000Yen (tax inclusive) per incident. Costs of over 100,000Yen will be borne by the customer. *Nissan Rent a Car will refund to 20,000Yen per rental for costs paid in advance by the customer. *The customer will have to pay for the services in advance, then get a refund from the returning rental shop by way of receipt. *Refunds may be paid by bank transfer at the later date. *Tow service destination will be to repair shops designated by Nissan Rent a Car. 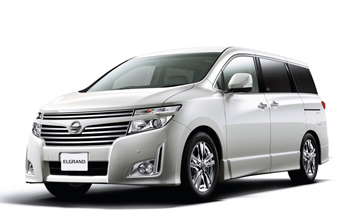 *Nissan Anshin Support Plan(NAS)is a service provided by Nissan Rent a Car. When there is damage or problems to the car due to the accident, please stop driving immediately, and contact the rental shop. In the event of accidents, theft, damage, defacing of the vehicle not caused by the rental company, and car repair or cleaning, etc. is required. During this time, the customer must pay the stated fee for incurred "Operating Reimbursement". *Damage to the car interior, burnt marks on the seat, loss of accessories, theft, etc. are also included. *If the car cannot be driven, the towing fees (to designated repair shop) may have to be paid by the customer. *Loss or theft of tire wheel, keys, and other accessories must be paid by the customer. NOC Support Plan If you join the NOC Support Plan, you do not have to pay the NOC. *This service can be joined at the rental shop. Please contact the rental shop for details. *Joining or leaving the service plan during the rental period is not allowed.